We see a lot of Star Wars cosplay around these parts. Rarely do we see it done with such artistry and attention to detail. 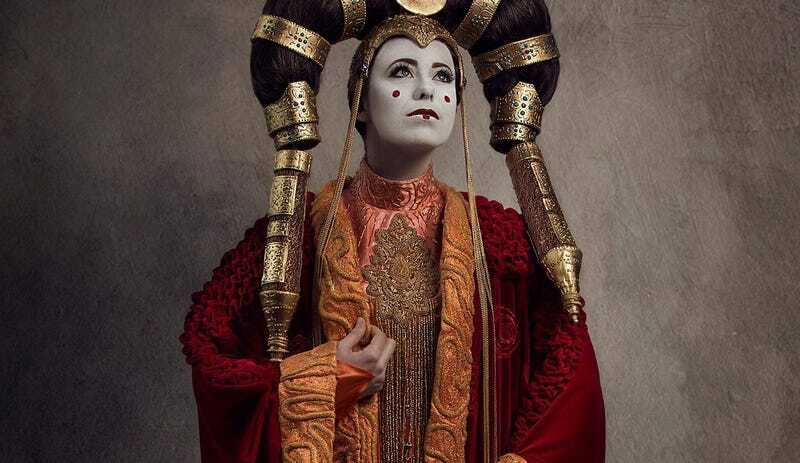 This is JediManda with her 1:1 Queen Amidala outfit that looks like something a team of professionals would have spent thousands on, and gone and made for the actual movie. Instead, it’s a work of art that she made entirely on her own. The amount of beading and sewing that went into this boggles the mind, and the costume took a whopping nine months to complete. There’s a full progress build you can read through on JediManda’s site here.